Can't Wait for Warm Weather? 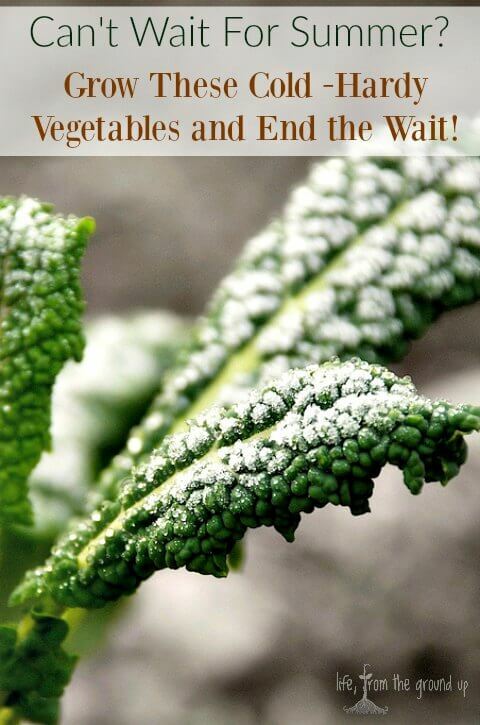 Grow These Cold Hardy Vegetables! You are here: Home / Garden / Can’t Wait for Warm Weather? Grow These Cold Hardy Vegetables! Can’t Wait for Warm Weather? Grow These Cold Hardy Vegetables! If you live in the Midwest, Northeast, or basically any other area that has an actual winter, you probably spend much of said winter pining for the return of warmer weather so you can get outside and plant something. And as someone who lives vicariously through seed catalogs starting in January, I feel your pain. Fortunately for you, me, and every other impatient gardener, there are many plants that survive, and even prefer, the cooler weather of early spring. Skip the tomatoes (at least until it warms up for good) and try some of these cold hardy vegetables instead. 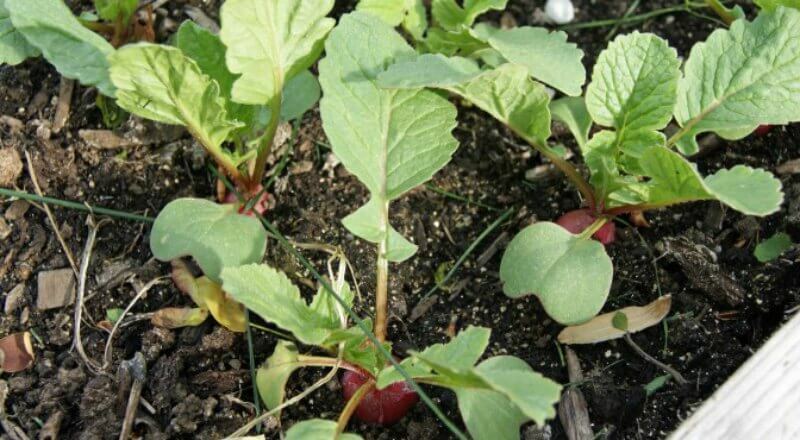 Radishes are one of the first things I plant out in the spring, almost as soon as the ground is not frozen and dry enough. 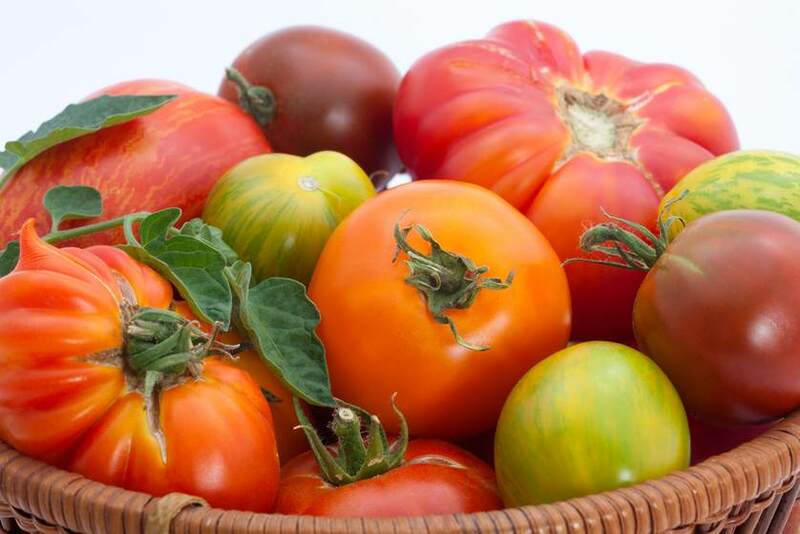 They’re also one of the fastest-growing vegetables you can plant – you can be picking them in a month or less! They like the cool weather, as most varieties get hotter and tougher as the weather warms up. I don’t plant carrots quite as early as radishes, maybe mid-late April, but they still go in before the last frost. They take longer to germinate and longer to produce, but they can keep growing throughout the summer. They’re actually sweeter in cooler weather, and will last in the ground all winter long if you cover them with a little straw or dry leaves. I know beets aren’t on the top of most people’s lists of favorites, but they should be. Like many other roots, they’re easy to grow, require little maintenance, and you can pick them as needed throughout the season. In my experience, not as freeze-hardy as other roots, but they can certainly tolerate some frost with no problems. Turnips are essentially a big radish. While they take longer to reach maturity, they grow the same way, and like radishes, they benefit from cooler weather, as they’ll have more zing in the heat of the summer. Lettuce can actually tolerate quite a bit of cold. More mature plants might be slightly more susceptible to freezes, but they can still handle a decent frost. I’ve had lettuces survive the entire winter in a cold frame, so it can definitely handle the cold temps. It will bolt, or go to seed, when the weather heats up, so it’s another that prefers the cooler weather. Spinach is slightly less cold hardy and won’t survive a cold winter, it can be planted out in spring and survive some frost just fine. It tends to bolt even earlier than lettuce, so it’s certainly a cool weather crop. 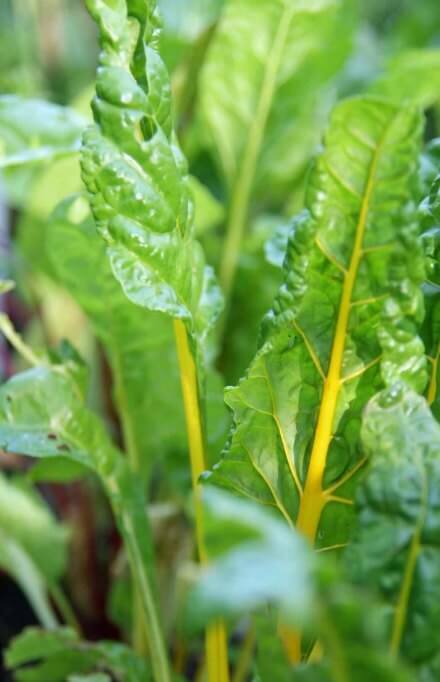 Related to beets, Swiss chard is a beautiful addition to a garden, and is a great substitute for spinach. It can tolerate cold (I usually have at least a few plants that survive the winter in the cold frame), and because it’s biennial (doesn’t produce seed until year two), it won’t bolt in the summer. Probably one of the more widely-known cold hardy vegetables, some varieties of kale originated in Russia, where the winters are not usually very mild. I usually transplant mine out in mid-spring, where they’ll grow prolifically throughout the summer. The return of cooler weather in the fall will bring out more sweetness, and depending on where you’re located and the variety, they can survive uncovered all winter. Broccoli also prefers cooler weather. The buds that make up the florets (the broccoli head) will quickly open in hot weather, so this is another one that’s best to plant early so it has some time for it to grow before it warms up too much. Like kale and broccoli (and cauliflower, Brussels sprouts, and collards), cabbage will tolerate the cold with no adverse effects. Again, the cooler fall weather will often make the leaves sweeter than they are during the middle of summer. Although I usually set out transplants (kale, onions, etc.) 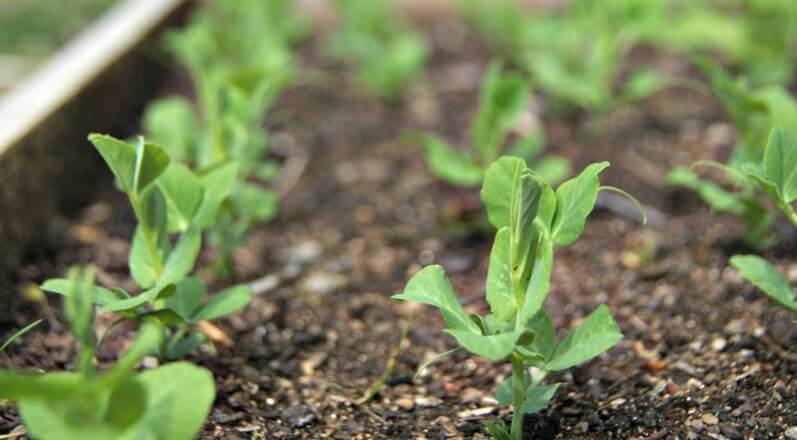 a week or two earlier, peas (along with radishes) are the first seeds I stick in the ground in the spring. I like to wait until the ground has warmed slightly, but early-mid April is usually fine around here. They usually germinate pretty quickly (soak them for 24 hours before planting to help), and the shoots can tolerate a light freeze. Many varieties will cease production in hot weather. These alliums are among the most cold hardy vegetables out there. These are the first transplants that go out each year, sometimes as early as mid-March, and that’s just because I’m lazy. If there’s no snow cover and the ground has thawed, then it’s probably safe to put them out. I’ve had leeks and onions survive the winter uncovered, and even if the green tops die back a little, they’ll send up new growth in the spring. While most of these cold hardy vegetables can tolerate a certain amount of frost/freezing, I’m still careful with them until they’re fully acclimated to the great outdoors (at least the transplants; plants sown from seed are usually okay). Although I may plant them while there’s still some danger of frost, if there’s a hard frost in the forecast, I’ll generally cover the transplants with an old sheet or a row cover (at least for the first week or two, until they toughen up a bit more). By planting some of these cold hardy vegetables, you can easily add a month or more onto either end of the growing season. I’ll never stop planting tomatoes, beans, and squash, but I’ll also plant plenty of other vegetables that aren’t quite as finicky about the weather!